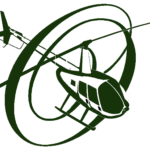 Impress your clients, employees, family and friends with amazing helicopter tours! The perfect 'Thank You' or 'I Appreciate You' gift. Daily departures from the Downtown Portland Rooftop Heliport and Hillsboro Airport. Includes premium 8x5 ticket with scenic envelope & digital e-Ticket. Can be redeemed individually or in groups of any size. Use anytime within a year of purchase date. Give them something to remember with a Helicopter Sky Tour! Write [email protected] or call (503) 987-0060 for volume pricing discounts and options.